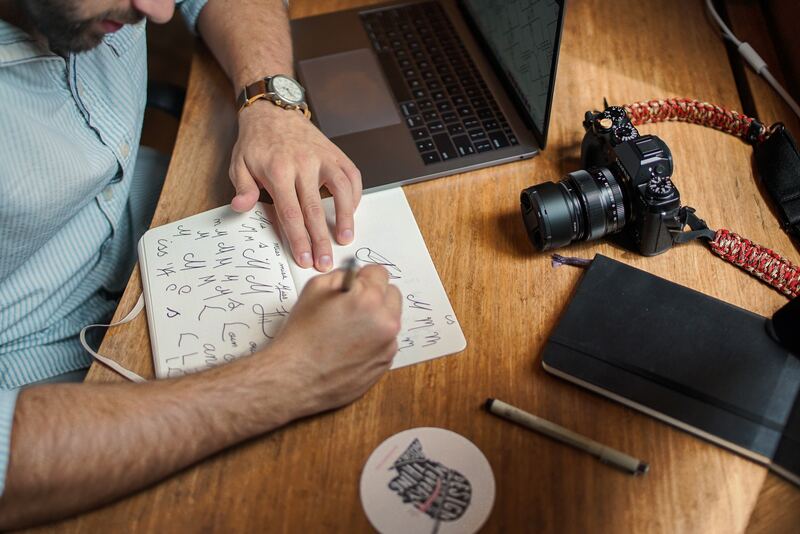 By Hania Marketing Mar 31, 2019 Comments Off on What Makes a Powerful Brand Story? Every brand has a story, and customers flock to brands who have an authentic and powerful story. So how can you create a successful brand story that will help you connect with your customers? What is a brand story and why do you need one? Your brand story is much more than an About Us page. It embodies who you are and what you stand for, setting the bar for what consumers expect from you in-store and online. Today’s consumers are more discerning than ever. They’re not just after good deals anymore – instead, they crave a compelling backstory and an ethos that aligns with their values. A strong brand story will create consumer goodwill and generate loyalty among your customers, as well as drawing in new customers who connect with your message. Simply put, your brand story should follow the typical story arc of problem, solution and finally, success. An overarching ‘why’ needs to hold your brand story together. This could be sustainability, customer service, social benefit or any other purpose that underpins what your company does. You can identify your why by thinking of why you founded your business and what it contributes to the community. Did you notice a gap in the market? Was it a passion project of yours that developed into something greater? People love a love story, so this is your chance to elaborate on your passions, dreams and ambitions. Remember that consumers are drawn to products and services that solve a problem for them or enrich their lives, so this should be captured in your ‘why’. How does your product fit in? Now that you’ve defined your key brand message, you need to work out how your product fits into it. Even the strongest brand story will only engage, not sell, and must be related to your product in order to generate sales. To work this out, think about the quality and price point of your offering, whether it solves a problem or is intended to make the customer feel a certain way and what your USPs are compared to your competitors. Your brand story is speaking directly to your audience, so you must thoroughly understand who you are talking to. What lights their fire? What keeps them up at night? Consider asking yourself who your current customer is and whether this differs from your ideal customer, and conduct some market research to understand who you are actually selling to. Remember that a general brand story targeted at everyone will fail to truly connect with anyone. Start off by thinking of the values that your company stands for, and what sort of consumer is likely to relate to these. Once you’ve developed your brand story, you need to start implementing it across different areas of your business. Your brand story needs to be communicated in a consistent manner across all channels, whether that be to your employees, in your physical store, on your website, across your social media platforms and on your logo. These channels should also be utilised to live your brand story – consumers should be able to see you abiding by your values, demonstrating the relevance of your backstory and your ongoing narrative. The content you create should centre around your value proposition as identified earlier. By clearly documenting all these elements, you can also ensure consistency in the event of outsourcing to a marketing or design agency. Want to see what a successful brand story looks like? SoulCycle is a brilliant example – with the challenge of justifying their high-end price point, the team needed to focus on some pretty powerful USPs. SoulCycle promises a near-spiritual workout experience, one in which you can connect with like-minded people and feel like you are truly part of a community. Empowering and motivating, people are willing to pay the heftier cost due to SoulCycle’s unique messaging. In order to identify your story and journey, brands must walk alongside customers. By fleshing out your story in accordance with the tips above, you can develop a strong brand that will inform all your future marketing efforts. When it comes to going beyond branding, enlist the help of your digital marketing company Auckland – Digital Squad. Contact our team today for a candid chat on how to take your digital marketing to the next level. We also provide Google Adwords Management, Content Marketing Auckland, Remarketing Strategies and Facebook Marketing Auckland.